Question: How can I practice for an interview if I am not able to do a mock interview at Career Services? Research online! We have an extensive section on our website about preparing for an interview including sample questions. If you can’t do a mock interview in person at Career Services, then do one virtually! 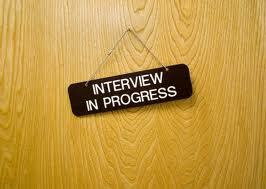 We have a program called InterviewStream where you can do a practice interview and then watch yourself afterwards. You can also select to have a career counselor view your online interview and give you feedback. It may seem silly, but practice answering a few questions in front of a mirror! Practice with a family member or friend…particularly one that has been on the hiring committee before. Please do a few or even all of these suggestions! Anything you want to do well you must prepare and practice…just like anything else in life. What are some ways you have prepared for interviews? Any questions you were asked that were difficult? Jen Busick, Career Advisor & Outreach Coordinator at Oregon State University advises students about internships and the job search, applying to graduate school, resumes/cover letters, and interviewing. She also organizes and updates resources, manages social media for Career Services and coordinates outreach opportunities. She enjoys working with students in coming up with a plan to finding a job and assisting them with figuring out the next steps. She has a lot of international experience, including the Peace Corps, study abroad, and independent travel. Posted in Interviewing Skills, Q&A Monday. © 2019 The Career Development Center Blog, all rights reserved.